High-profile celebrities partnering with private companies for mutual gain is hardly a new concept. In the marijuana industry, however, it’s one that’s been gaining traction since recreational sales began just over a year ago. At least three cannabis companies have inked deals with big names that have long been associated with marijuana. Other celebrities have started up their own product lines, opting for that route instead of partnering with established firms. Among the partnerships forged so far: comedian Tommy Chong partnered with Pueblo, Colorado-based Marisol Therapeutics last April, Seattle-based Privateer Holdings struck a deal with reggae legend Bob Marley’s estate in mid-2014 to start up a new cannabis brand, and since 2013 rapper Snoop Dogg has lent his name to a line of vaporizers manufactured by Grenco Science. “It has helped immensely, that partnership. It’s really been the partnership that’s really launched us into the next level and separated us from all the other brands that are out there,” said Tim Patenaude, vice president of Grenco Science. Both Snoop and Chong have also begun looking into their own cannabis-related business ventures, and other household names are entering the cannabis industry. 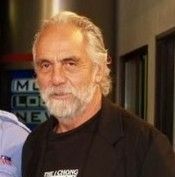 Marisol, for example, has been leveraging its Tommy Chong relationship to develop a new strain named after the longtime cannabis comedian. The shop hopes to debut the strain next month, in time for the classic marijuana holiday 4/20. The strain will be dubbed “Chong Star,” and the company plans to not only sell at its Pueblo location but also offer the strain wholesale to other Colorado cannabis stores. Marisol owner Mike Stetler estimated that the wholesale price for Chong Star will likely be around $2,500 a pound, which is well above the price point many other Colorado wholesalers are offering currently. Pre-order demand for Chong Star from Colorado rec shops and MMJ dispensaries has been so strong already that Stetler, who recently built a greenhouse in which to cultivate the new strain, is already planning on building 10 more greenhouses. “Once Chong Star goes out, people all over the place will want to buy Tommy Chong products,” Stetler said. Marley Natural, the brand that Privateer founded in 2014, has an even bigger vision for its business. “We absolutely intend to be a global brand,” said Tahira Rehmatullah, general manager of Marley Natural. She said the plan currently is to begin in the United States and expand into Jamaica, Latin America and Europe over the next few years as the company ramps up. And though Marley Natural will start off growing and selling cannabis strains in Colorado and Washington State, where recreational is already legal, the company will also look at possible MMJ cultivators and dispensaries in states such as California, as well as manufacturing accessories and body care products that will be available in all 50 states. “It’s a wellness brand. It’s a lifestyle brand. It’s not just focused on a very specific aspect of cannabis, which I think is maybe a little bit more what the stereotype would lead to,” Rehmatullah said. Though none of the companies were able to discuss details of their respective contracts with the celebrities, McAllister did confirm that Chong agreed to a flat monthly fee from Marisol, as opposed to a percentage of sales or royalties. Neither Stetler nor Rehmatullah said there had been any drawbacks to entering into business agreements with Chong or the Marley estate, though disputes between celebrities and private companies over endorsement deals aren’t unheard of. Both Rehmatullah and Stetler added that it’s not just about the bottom line for their companies. Rather, they said, the deals have an aspect of cultural respect and social consciousness, which both firms intend to foster. As marijuana moves to mainstream and additional states legalize, there will be more and more business opportunities for celebrity endorsements. McAllister predicted pro athletes will join the trend. “We see Shaquille O’Neal talking about Gold Bond or Ed McCaffrey talking about Good Feet and endorsing those products. I have no doubt that someday an NFL player will come out and endorse marijuana as a good pain reliever,” he said. That kind of movement can help the cannabis trade as a whole, Rehmatullah added, because it could aid in giving mainstream legitimacy to an industry that’s still getting used to being legal. Colorado has seen a huge influx of celebrity investors from the legal marijuana industry. Not just for weed-specific products either; since their economies are growing big-time, a lot of big capital businesses are turning their eyes to legalized states.